Duolingo, the increasingly popular online language learning service, announced one of its most ambitious projects to date. The Language Incubator, which is opening its doors today, will let the service’s community members add new lessons and languages. As the company’s founder Luis von Ahn told me earlier this week, these can even include fictional languages (something tells me Klingon lessons will be among the first). 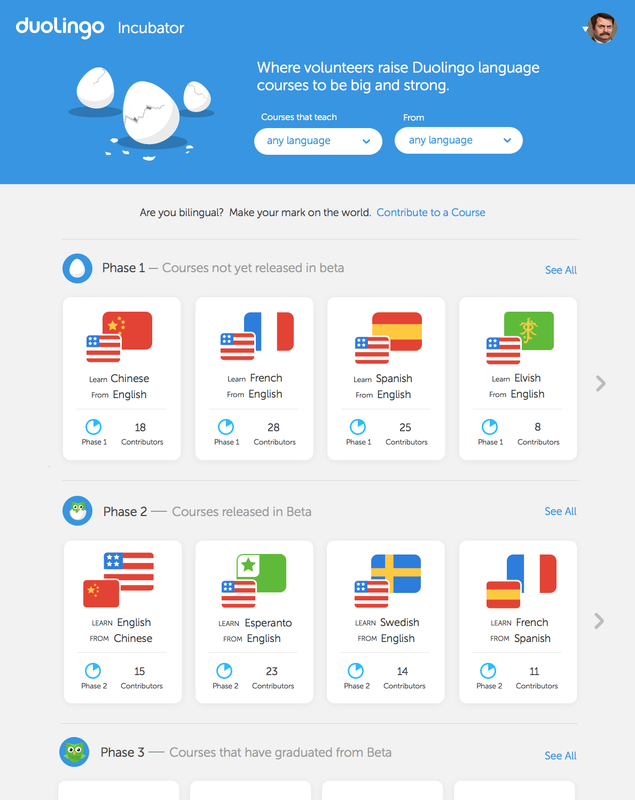 Since its launch, Duolingo has received requests for more than 500 languages and the relatively small team that works on the service is obviously unable to create lessons for all of these. In its current form, Duolingo currently offers lessons in Spanish, French, Italian, German, Portuguese and English and has attracted over 10 million users so far. The most requested languages on the service right now include Chinese, Russian, Japanese and Arabic. For von Ahn, resorting to crowdsourcing seems like a natural answer, given that he was also the founder of reCAPTCHA, which uses CAPTCHAs to transcribe books with scripts that OCR software often fails to recognize. Duolingo itself has a crowdsourcing element to it, too, as the main idea (and business model) behind the service is to teach its users a language while they also translate texts at the same time. As von Ahn told me, though, crowdsourcing wasn’t on the service’s roadmap from the beginning. After it kept getting requests for new languages, though, the team decided that this would be the only way to keep up with demand. As with all crowdsourcing projects, ensuring a high quality of courses will be what makes this project succeed or fail. “This is something we’ve spent a lot of time working on,” von Ahn said. “The main idea is to have moderators that own each language. 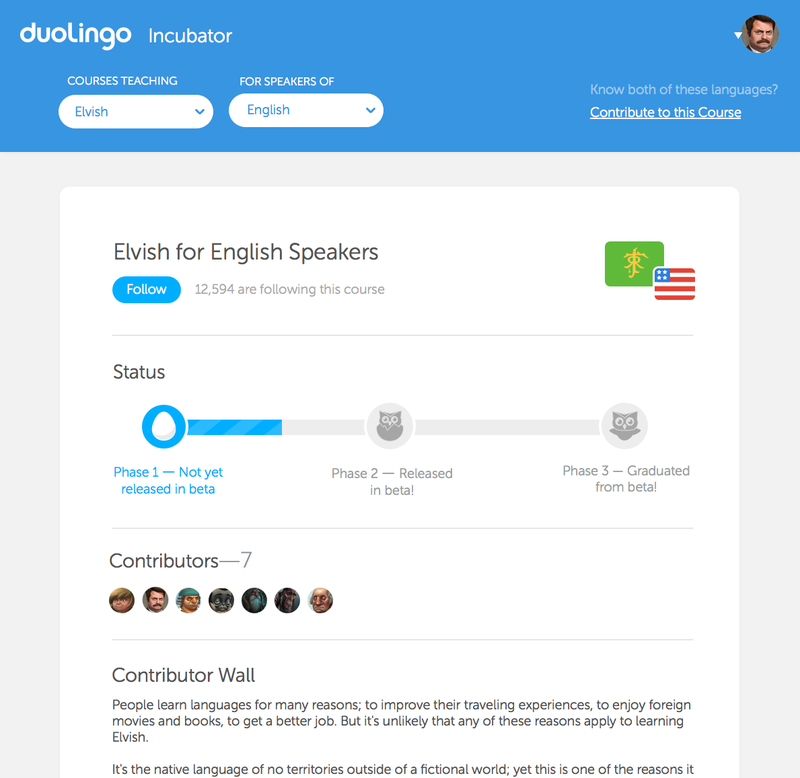 These moderators will apply through our website and will be vetted by us.” Already, Duolingo has received applications from what he calls “very impressive moderators” – some of which even have Ph.D.s in the languages they applied for. These moderators will be able to accept any contributors they want, but will ultimately be in charge of the courses. For now, this project will launch as a beta, and the team will evaluate its approach based on the feedback it receives and data, such as the number of people who return and what fraction of learners get exercises correct. “If a course has low quality, we will take action with the moderators,” von Ahn noted.